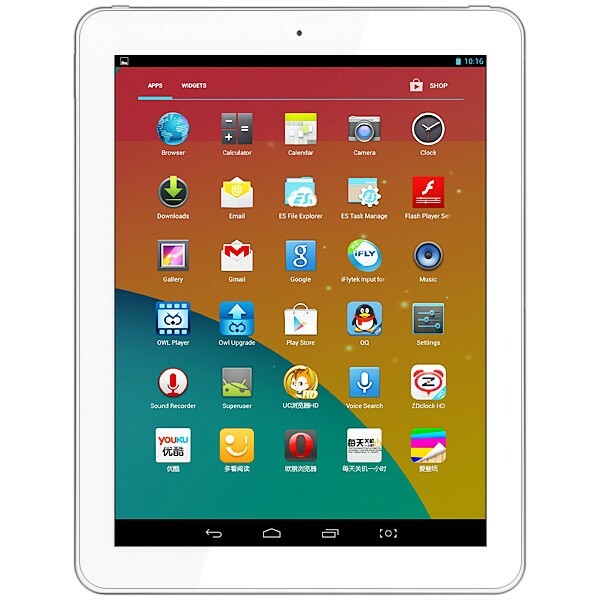 Android tablet PCs from China usually draw their hardware and design inspiration from popular tablets like the Apple iPad, iPad mini, Google Nexus tablets and Samsung tablets. 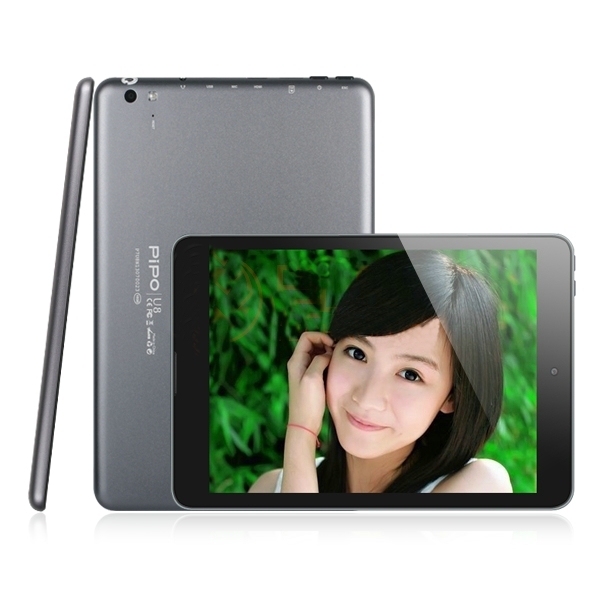 You can almost always tell which popular tablet that the China tablet is “inspired” by. 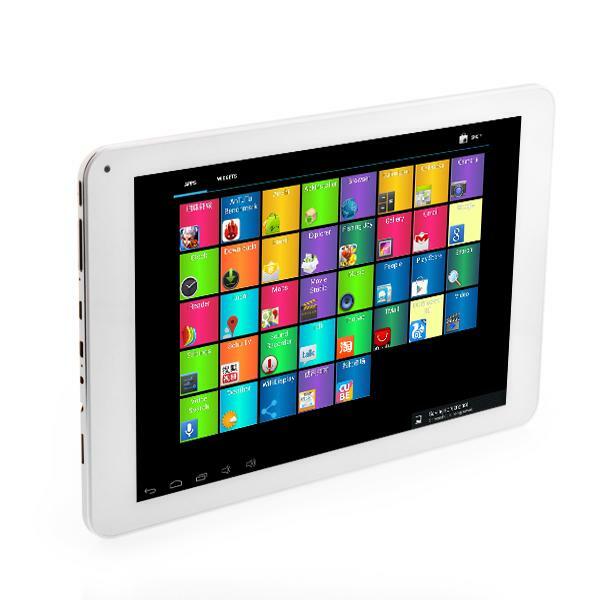 Therefore, it is quite refreshing to come across the Pipo M8 Pro Android tablet. Most of the tablets in Pipo’s current tablet line-up don’t have the obvious clone look but the Pipo M8 Pro look rather different from the rest of its brethren. If I have to pick a popular brand that the Pipo M8 Pro resemble closest to, I would pick Sony. Come to think of it, Sony does come up with rather nice designs for their tablets and I am surprised that it has taken this long for a Sony-like clone to come along. Besides the rather “unique” design, the Pipo M8 Pro also has another distinctive feature. 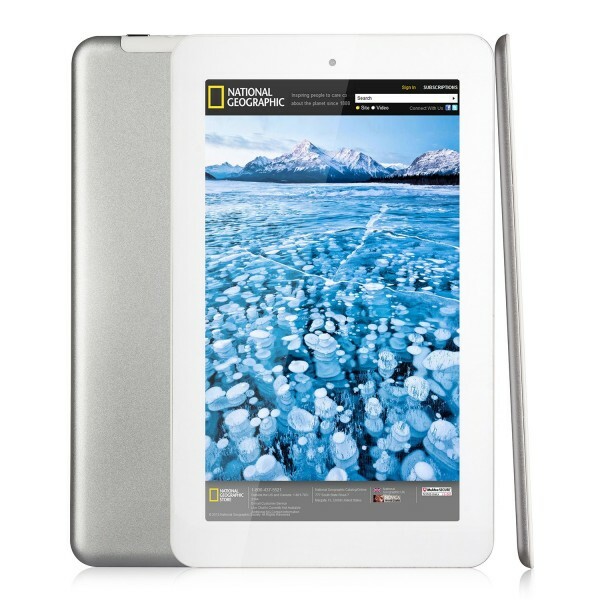 It has a 9.4 inch display with 1280 x 800 resolution. 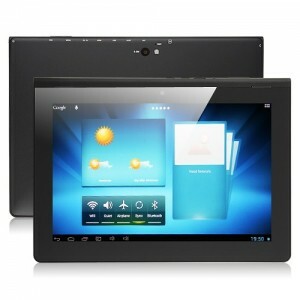 The only other tablet that I have come across that has a similar 9.4 inch display is the Ramos W42. 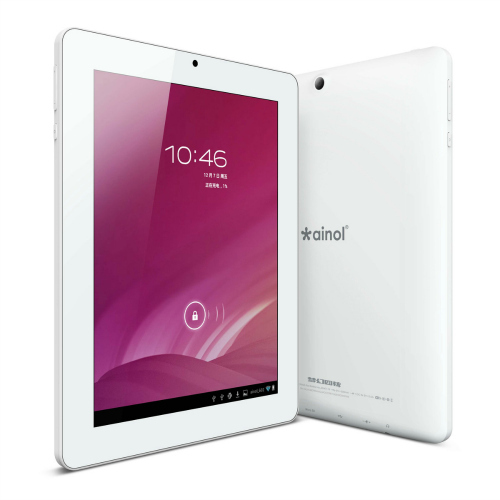 It is obvious that most China tablet manufacturers are cashing in on the popularity of the top-selling iOS and Android tablets. They are targeted at users who are not willing to pay top dollar for the originals and are willing to make compromises. However, the Pipo M8 Pro is rather unique as I found it to be a rather good tablet in its own rights and not because it is a rather good clone. DinoDirect.com is a world’s leading cross-border online store with millions of active customers from more than 200 countries. DinoDirect is committed to becoming the best reliable marketplace on the net by offering high quality products with the widest selections, reasonable price, worldwide free shipping and superior 7×24 customer service. AliExpress has numerous retailers that are offering the Pipo M8 Pro at a great price and some even have free international shipping thrown in. DX offers free world wide shipping on all items! DX is the first and only retailer in the industry to establish multiple international warehouses. Currently serving more than 30 countries, items shipped from one of the three international warehouses are typically delivered in 3-7 business days. Merimobiles.com is a Canadian company with over 7 years' experience in the telecommunication industry as well as customer service. I’ve always been impressed with the built quality of the Pipo tablets and the Pipo M8 Pro doesn’t disappoint. It has an aluminum frame and the plastic parts feel solid and durable. There is absolutely no light bleeding around the edges of the screen on my review unit. The 9.4 inch 1280 x 800 may not have the pixel density of a retina display but it is one of the better IPS displays that I have come across. The contrast is very good and it produces vivid but accurate colors. I have read on a forum that the Pipo M8 Pro display is from LG but I could not find any information online that confirms or refutes this. The tablet has a gradual taper at the bottom of the unit. Most of the buttons and ports are located at the top edge of the tablet. There is a rocker switch that is used for Back and Menu function. This is rather strange but you can remap this button as a volume control button which makes more sense. The other ports are a DC power port, HDMI port, 2 micro USB ports, one that is used as USB host and the other for USB OTG, a microphone and a micro SD slot. On the upper right edge is a very well placed round power button and on the opposite end is the 3.5 mm earphone jack. The placement of the power button makes it very easy to remember where it is and for once I don’t have to glance at the label to make sure that I am hitting the right button on the first few days of the review period. The edge where the ports are located is curved and the ports are slightly recessed. While this makes sure the ports look neater and don’t protrude out but the recessed ports may cause problems with the connecting cables. A few of my USB cables did not fit into the USB port because the plastic housing gets in the way and the connector cannot be fully inserted into the port. The stereo speakers are also perfectly placed. They are front facing and located near the upper edge. The placement made sure that your hands won’t be covering both the speakers when the tablet is held in your hands. Overall, there are definite signs that some thought has been given into the overall design and the placement of buttons and ports on the tablet. This is a huge improvement over the usual Chinese tablets that seems to have buttons and ports that are randomly placed. How does the Pipo M8 Pro compare with other tablets? 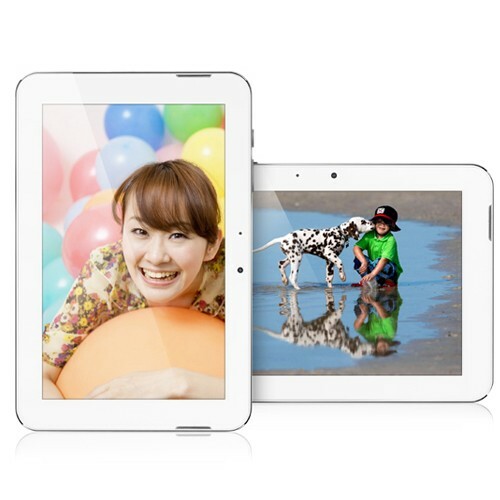 Refer to our Top China Tablets Full Guide comparison matrix with over 40 tablets. The Pipo M8 Pro is powered by a quad-core Rockchip RK3188 ARM Cortex-A9 CPU and Mali-400 quad-core GPU. It also comes with 2GB of DDR3 RAM and 16 GB of Nand Flash ROM for storage. Additional storage can be added by popping in a microSD card. Up to an additional 32 GB is supported. The display has a 1280 x 800 resolution and has a 16:10 widescreen ratio aspect. Personally, I think that the 9.4 inch 1280 x 800 resolution display is just perfect. It is somewhere around the size of an iPad but with a widescreen display. The narrower shape actually makes it easier and more comfortable to hold plus the widescreen aspect makes it ideal for watching movies. Besides WiFi, the Pipo M8 Pro also comes with Bluetooth and optional 3G connectivity. The latest models come with Android 4.2.2 installed. The tablet has dual cameras. At the back is a 5 MP camera that has auto-focus and an LED flash. On the front is a 2 MP camera for video calls. Size wise, the tablet measures 240 x 172 x 11 mm which makes it a little thicker than most tablets. It weighs 521 g.
The pairing of a quad-core RK3188 with a non-retina display has proven to be a winning combo in many of my reviews. While the higher pixel density on a retina display has its merits, there is a price to pay when it comes to performance and battery life. The 1280 x 800 display on the Pipo M8 Pro may not look as sharp as a retina display but it is a high quality IPS display. I personally did not find the lack of a retina display to be a handicap on the Pipo M8 Pro. On the other hand, performance of the tablet is great. Web pages load quickly, even sites with high graphical content or those with a lot of flash content. The Pipo M8 Pro had no problems with opening multiple browser tabs at the same time. Scrolling around the web page or using pinch to zoom is smooth and lag free. The snappy performance also extends to app installs, launching of apps and even high end gaming. 3D intensive games like Shadow Gun run smoothly even when connected to a 1080p display using the HDMI out function. As expected, video playback is great and the included video player plays just about anything I can throw at it. The player is rather basic but you can always replace it with your player of choice from the Google Play Store. The M8 Pro has good support for the Play Store and as far as I can tell, most if not all the popular apps are supported. The stereo speakers are sufficiently loud although bass is a little lacking. This is probably an unavoidable compromise as strong bass usually causes severe audio distortion when you push up the volume on tiny speakers. WiFi is another area that the Pipo M8 Pro excels at. The signal quality is pretty strong compared to the other tablets I tested out. This is rather surprising as I expected worse performance due to the use of a metal housing. I did read of user complaints on WiFi quality but I think these are probably due to hardware defects rather than design problem. The review unit that I got had no WiFi problems. I am not able to comment on the 3G connection quality as the version that I got has no 3G. Both the front and rear cameras are functional. They are good enough for the tasks they are designed for but you won’t be using the cameras to take treasured photos. Last but not least, the battery life is another surprising plus point for the Pipo M8 Pro. The battery is rated at 6500 mAh which is not really large but the tablet managed to last over 7 hours even with heavy use. On the minus side, the tablet does not support charging via the USB ports on the tablet. The Pipo M8 Pro has no really exceptional hardware feature that makes it stand out from the rest of the crowd. What it does have is a well thought out design and an integration of features that work really well together. The quad-core RK3188, high quality 1280 x 800 IPS display and 2GB RAM provides excellent performance for web browsing, video playback and 3D gaming. WiFi quality is among the best I have come across so far plus battery life is above average. The size is just the right balance between portability and usability while maintaining a 16:10 widescreen ratio. A lot more thought has also been given to the placement of buttons and ports on the tablet. Last but not least, the build quality is very good. If you have read my previous reviews, you have no doubt notice that I have a liking for Pipo tablets and I am by large very happy with them. The Pipo M8 Pro has pushed my expectations of Pipo tablets a little further and it is currently my favorite Pipo tablet. Roy Yap is the administrator of TopChinaTablets.com. Roy has been writing both online and for print magazines for many years. He writes mostly technology related articles, particularly on consumer electronics and gadget reviews. should i take this m8 pro or the iFiv2 2X ? I would expect both to perform about the same but I’ll choose Pipo because it has better open source support.